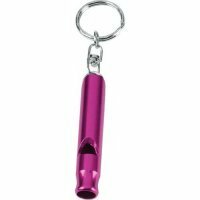 Add some noise to your campaign with these imprinted custom whistle keychains! You can buy them from us in bright, eye-popping colors that will definitely add your brand recognition and bring you some easy appreciation. 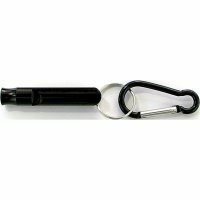 Customized whistle keychains make an ideal choice for value building throughout the year. 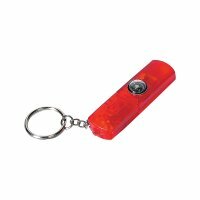 These keychains make one influential promotional gift and marketers can target wide segment of demographics by handing it out. Complimented with free art assistance, fastest turnaround time, free online proof and zero payment until approval of design proof, these keychains are sure to get you noticed. 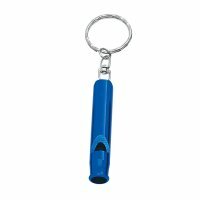 Custom whistle keychains are perfect for promoting safety awareness campaigns and they add rattle to dull promotional campaigns. 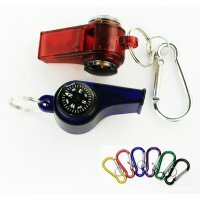 These attractive promotional whistle keychains make an indulging giveaway during National Safety Month. These keychains are also great for fundraisers or building awareness about various social causes. Offered in attractive color profiles, styles and budget sizes, these are sure to make an impact on the minds with their noisy profile and ability to manage keys. 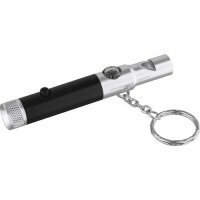 Although personalized whistle keychains make a complete item, some of them are additionally equipped with features such as compass, flashlights, thermometers, etc. 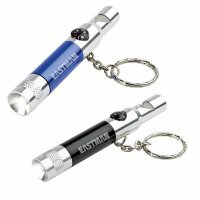 Custom whistle light and compass keychains, whistle with compass, Carabiner and thermometers are some of the brilliant examples of this combination. 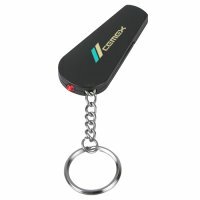 Safety classes, security agencies, police, emergency services, hospitals and everyone who wish to work closely with people can easily employ these keychains for value building. 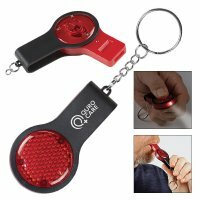 These double featured promotional keychains are perfect favors for tradeshows, business conventions, business conferences, road shows or it can be offered as a light complimentary gift with some typical purchases. These keychains are great to order extra because we offer appealing price benefits on such orders. 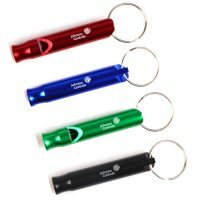 If you think your brand can benefit from these amazing promotional whistle keychains, you can surely confirm it by employing them during the next tradeshow, promotional event or social get together. 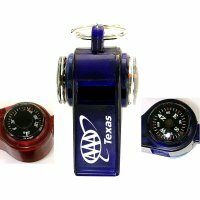 To know more about your branding options, special pricing benefits and other aspect of this purchase, feel free to reach out to our product specialist experts at 855-539-8247 or write to us at info@budgetkeychains.com.